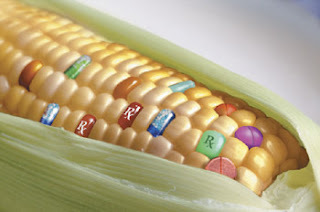 (NaturalNews) Drug and chemical giant Bayer AG has admitted that there is no way to stop the uncontrolled spread of its genetically modified crops. "Even the best practices can't guarantee perfection," said Mark Ferguson, the company's defense lawyer in a recent trial. Two Missouri farmers sued Bayer for contaminating their crop with modified genes from an experimental strain of rice engineered to be resistant to the company's Liberty-brand herbicide. The contamination occurred in 2006, during an open field test of the new rice, which was not approved for human consumption. According to the plaintiffs' lawyer, Don Downing, genetic material from the unapproved rice contaminated more than 30 percent of all rice cropland in the United States. "Bayer was supposed to be careful," Downing said. "Bayer was not careful and that rice did escape into our commercial rice supplies." The plaintiffs alleged that in addition to contaminating their fields, Bayer further harmed them financially by undermining their export market. When the U.S. Department of Agriculture announced the widespread rice contamination, important export markets were closed to U.S. producers. A report from Greenpeace International estimates the financial damage of the contamination at between $741 million and $1.3 billion. Bayer claimed that there was no possible way it could have prevented the contamination, insisting that it followed not only the law but also the best industry practices.